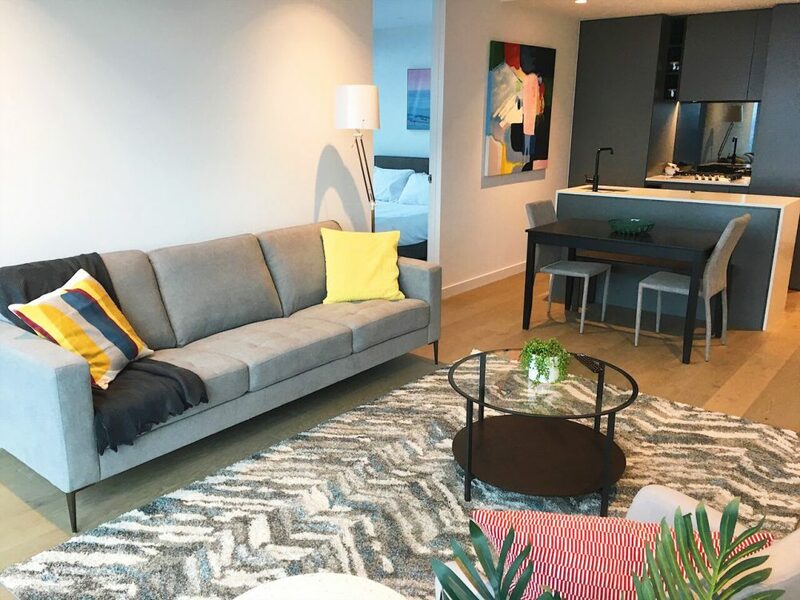 Whether you’ve you just moved into your first home or downsizing, after living in a large home for years, living in small spaces can be challenging. 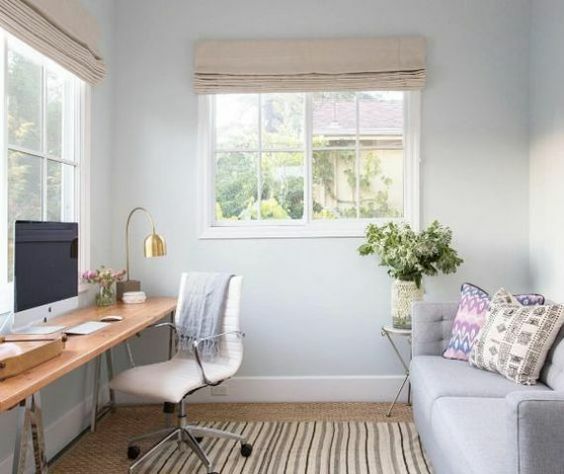 By implementing a few changes, you can transform your small space into a beautiful functional home that you’ll love. 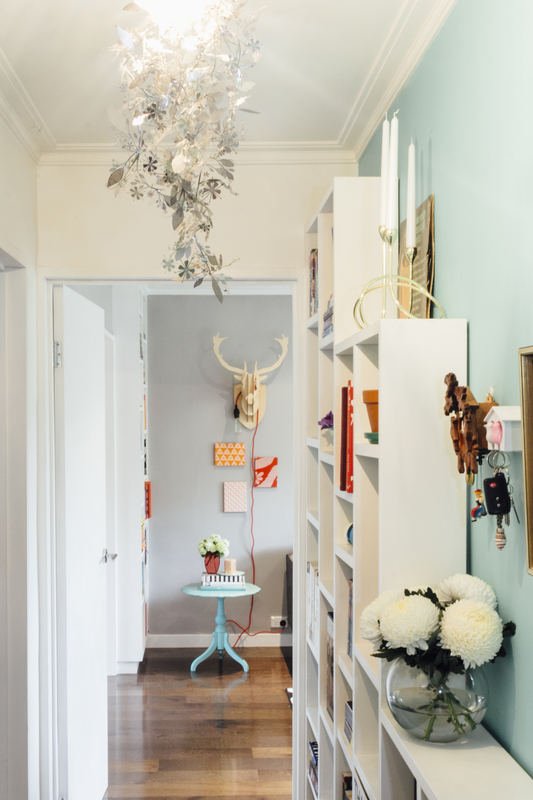 Read on for my tips on getting the most out of small spaces. The living room is the main area that can feel very overwhelming if you don’t get storage under control. Do you need an entertainment unit? If not ditch it completely and open the space with the TV mounted on the wall. Do you need more storage space? Consider using a buffet as an entertainment unit instead. You’ll get loads more storage and while still having somewhere for all the TV goodies. Also consider built in cabinetry that can be built around your TV, so as long the TV can be viewed comfortably from all angles, utilise the wall space and store your goodies at the same time. A small bookshelf utilises the possibly wasted space in this hallway. Designed and styled by Leeder Interiors. Do you have a spare room that’s wasted by having a guest bed sitting unused most of the time? Consider making it a dual space with many uses. Remove the bed and replace with either a sofa bed or an ottoman bed clearing up the space for other activities. Perhaps introduce a bookshelf for additional storage or a study space. Double up your furniture to have multiple uses. 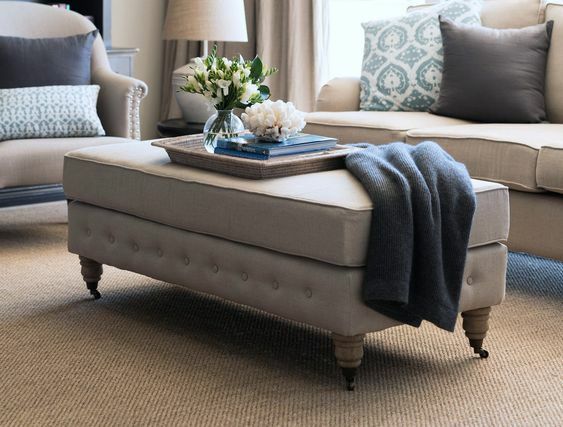 If you entertain regularly but struggle to have enough seating, consider having an ottoman as a coffee table. Most of the time it serves as a coffee table with a tray on top for stability and then gets used as seating when the need arises. If you like having a more solid coffee table, consider using two side tables as a coffee table instead of one big one. The tables can split and moved easily around when entertaining. Using an ottoman as a coffee table. 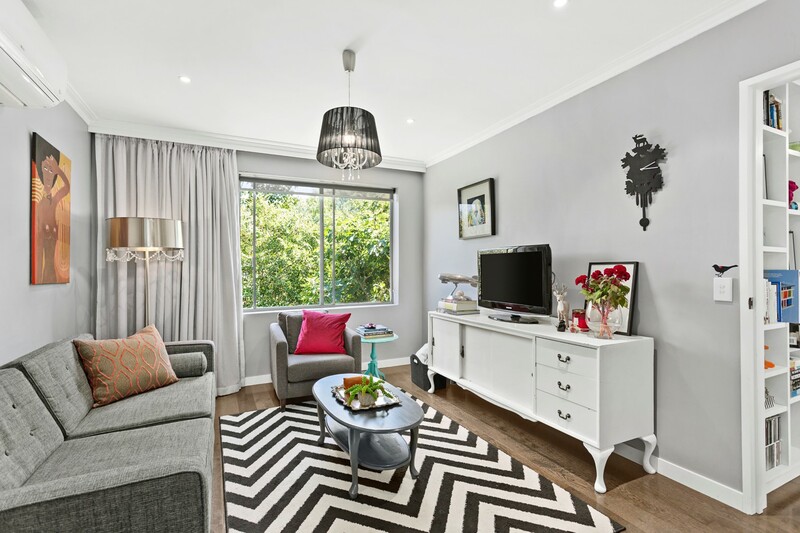 Image courtesy of Lavender Hill Interiors. Use bigger pieces to make the room feel bigger – small poky furniture makes a room feel smaller. Utilise the full size/space available and go bigger. You’ll be surprised how much of a difference this will make. 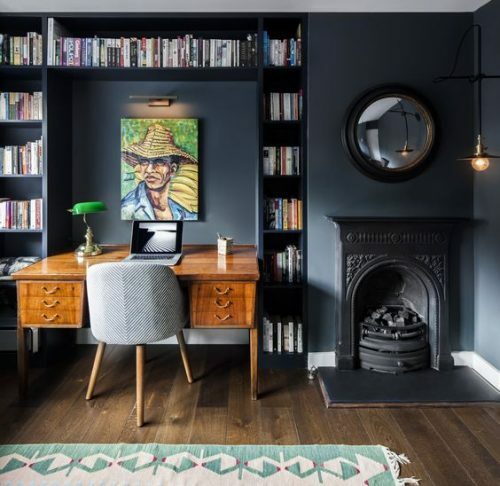 When thinking about adding storage or additional furniture pieces, be it bookshelves, study nooks, entertainment units, etc, consider custom built rather than free standing. Utilise the wall and go all the way to ceiling. By utilising the wall space the room will feel bigger and more roomy. Making the space feel bigger with a large sofa. Styled by Leeder Interiors. Try not to overfill your rooms, use restraint. Don’t fill every wall or surface – empty negative space counter balances the busyness happening else where. People assume that white walls make a space feel bigger but that’s not the case. Darker walls recede into the background making the space feel bigger. Utilising the space around the desk and creating interest with the dark wall colour. Image courtest of Laura Lakin Design.